Aug 91: Empty, damp clay walls and timber verticals decaying, thatch requires attention. Occupied until about 1985. 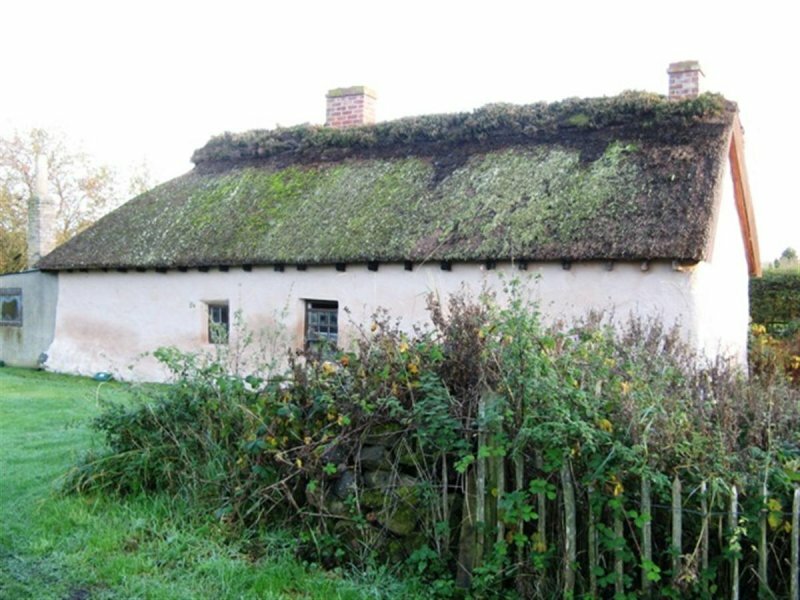 Keen interest from National Trust for Scotland Little Houses Scheme, who are involved in negotiations with owner, but future not assured yet. They will pursue if they get the go ahead for an AHF loan. 1994: now acquired by the NTS and restoration project in progress in partnership with Historic Scotland and Perth and Kinross Heritage Trust. Monitor. Oct 95: restoration in progress. Clay walls repaired. 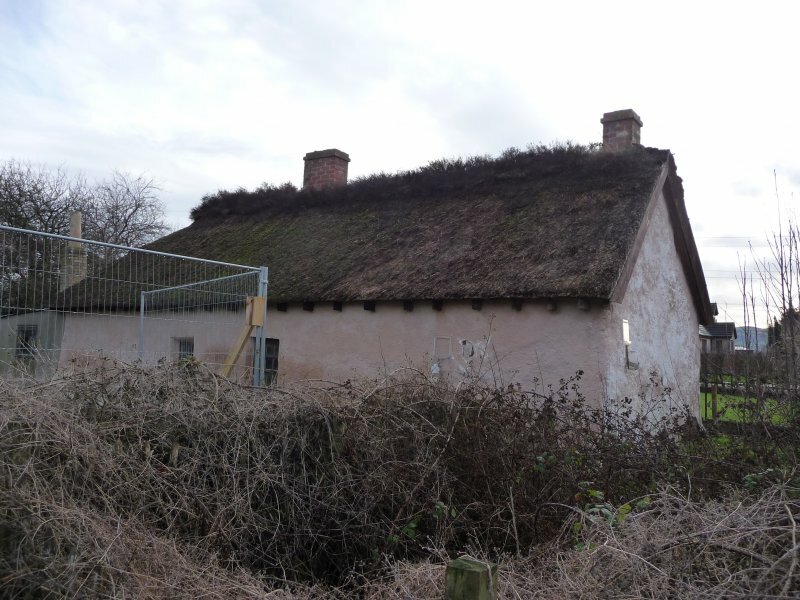 Roof re-thatched. Likely to be a museum piece rather than a dwelling. Jan 96: Restoration works - as an example of its type, rather than modernised for occupation - have completed. Moved to Saved. November 2011: NTS bring the building to the attention of BARR, which was seriously flooded earlier this year with contractors having to be engaged to pump water out of the building. The NTS has been monitoring water levels below the building using boreholes for five years, and has electronic monitoring of dampness within the walls of the building. The building is subject to regular maintenance. 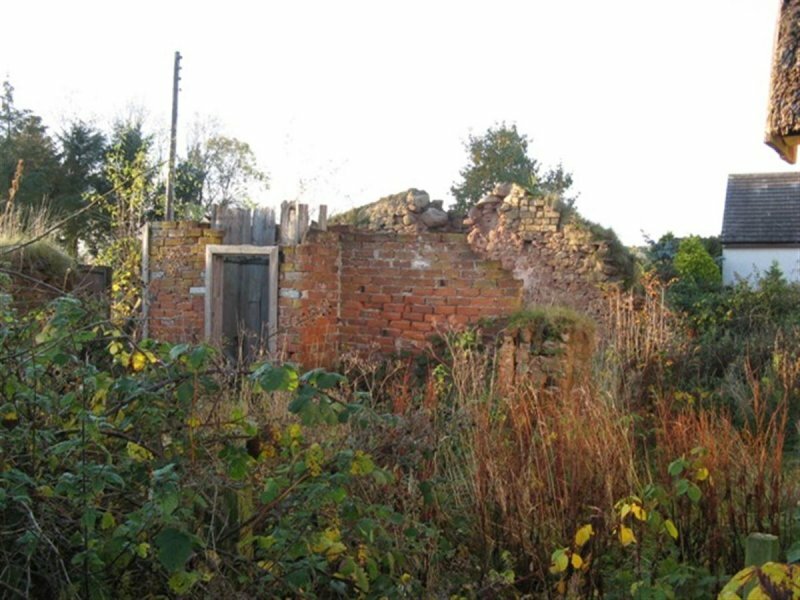 Options appraisal and feasibity study are underway to identify a sustainble scheme for restoration, taking into account the environmental factors of the site. 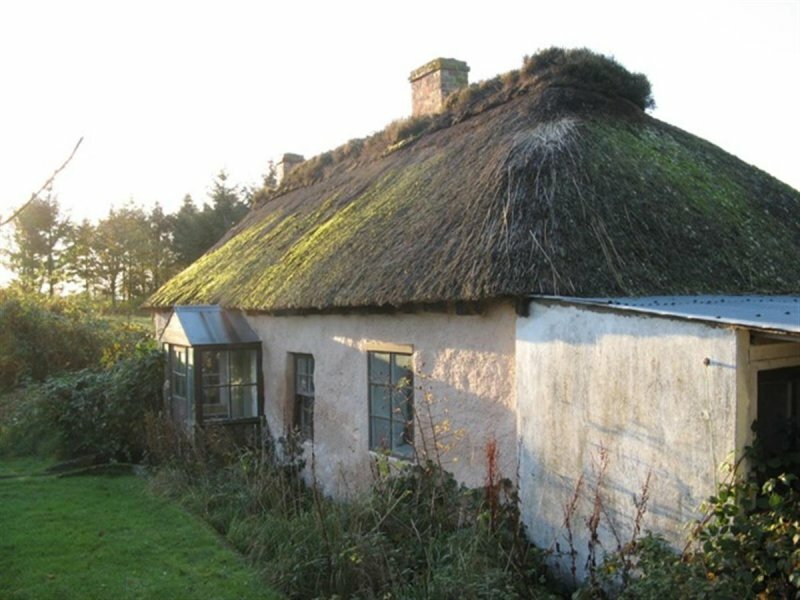 The NTS is likely to complete these and seek appropriate funding for a restoration scheme during early 2012, aiming to be on site in 2013. 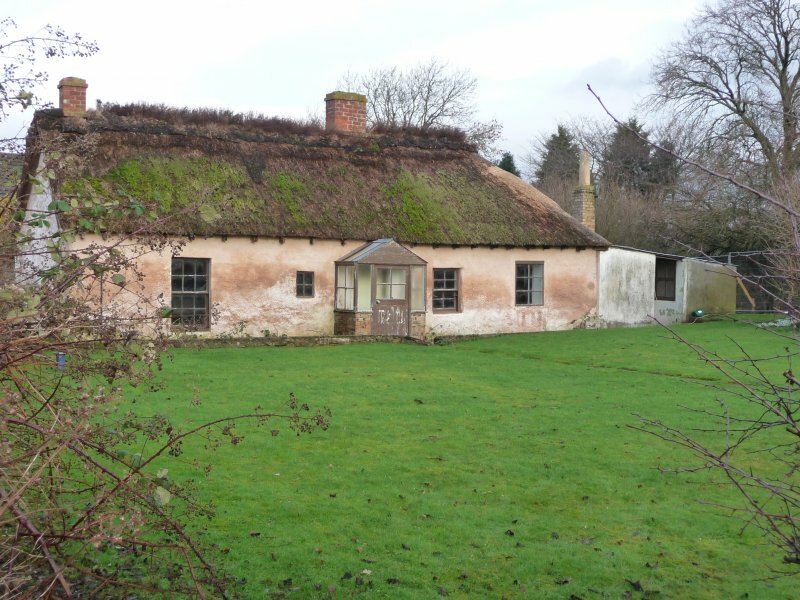 External inspection finds the building intact but is extremely damp after the last flooding (in February 2011). 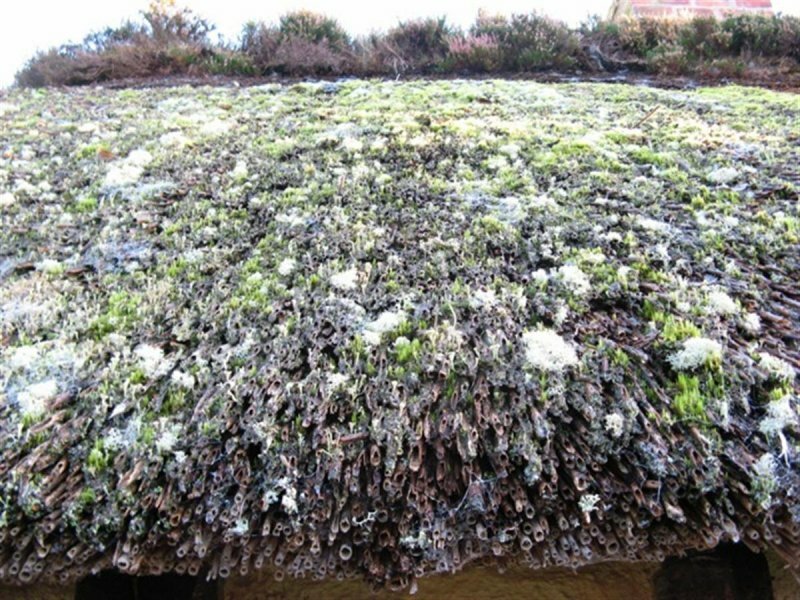 The roof is in need of extensive repair and there are dense growths of brambles close to the walls. It is not habitable as internal floors and ceilings have been removed. Moved back to At Risk. 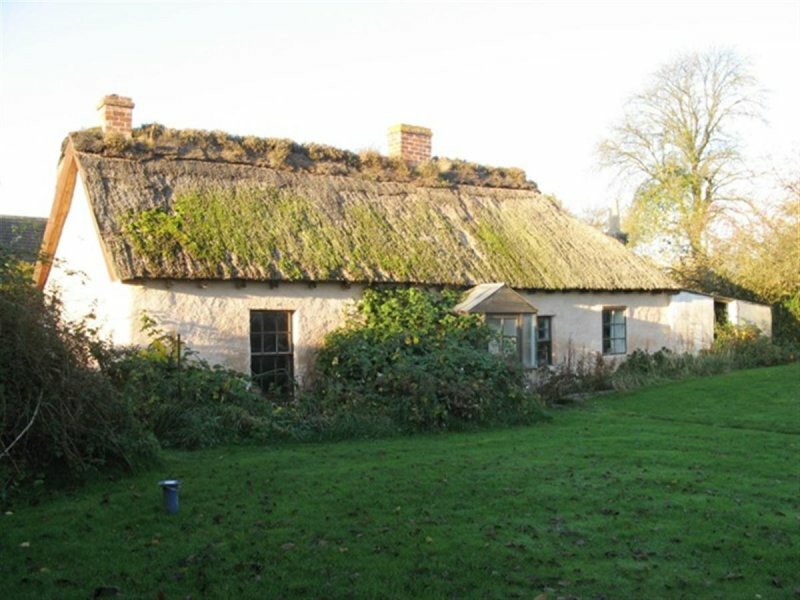 6 February 2013: The NTS report following investigation of flooding at the site by hyrdo-geologists, a scheme for flood mitigation for the cottage has been drawn-up on behalf on the Trust and is planned for implementation in the next financial year. Discussions with potential partners as end users for the cottage continue. 4 February 2014: External inspection finds the building remains in much the same condition as seen previously.